Last month, the U.S. Food and Drug Administration advised consumers to avoid Kellogg’s Honey Smack cereal due to a salmonella outbreak that has sickened 30 people and spanned multiple states. 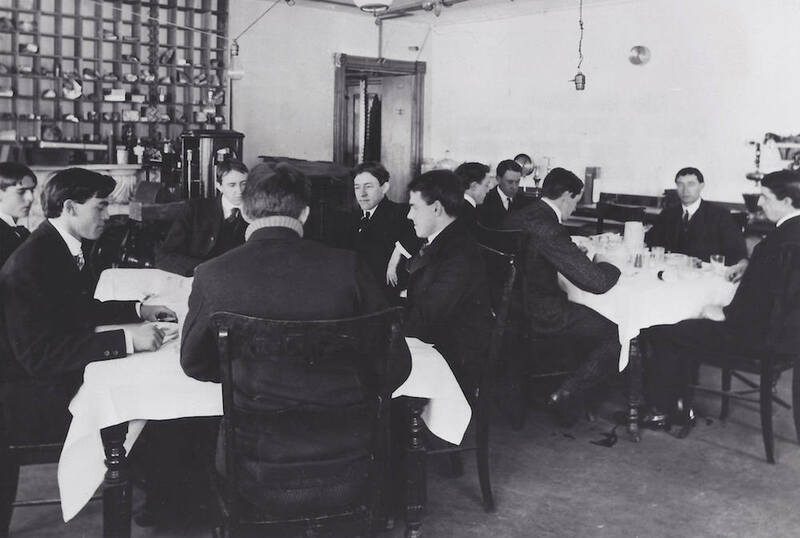 The FDA was formed in 1906 to help protect consumer health from food and drug problems like the salmonella outbreak. But before this time—when the U.S. lacked food regulation—you might have been more wary of pouring milk over your morning cereal. Milk could be spiked with formaldehyde, while pepper could contain coconut shells, charred rope or floor sweepings. 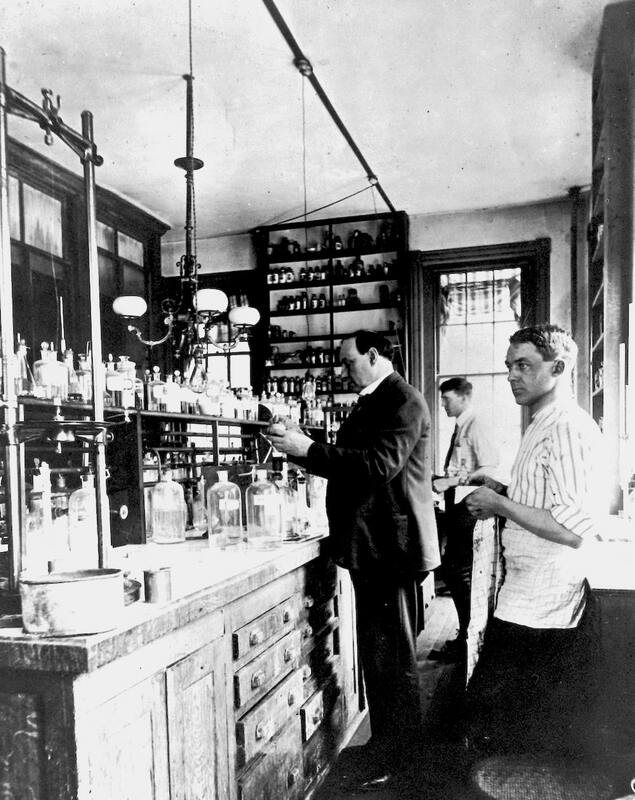 In 1883, Dr. Harvey Washington Wiley, who was appointed chief chemist of the Federal Agriculture Department, began to investigate how manufacturers used additives and unhealthy practices in food—and pulled together “The Poison Squad.” Wiley’s “hygienic table studies” tested the effects of consuming borax by directly feeding the mineral to young government employees. In her new book, The Poison Squad: One Chemist’s Single-Minded Crusade for Food Safety at the Turn of the Twentieth Century, author Deborah Blum follows Wiley’s fight for consumer protection and food safety. She talks about how Wiley along with other scientists, journalists, and advocates fought for the health and safety of the general public. You can read an excerpt of Blum’s new book here and view photos of The Poison Squad from the Food and Drug Administration below. IRA FLATOW: You’ve all probably eaten a bag of chips and flipped it over, right? You want to read the ingredients as you munch away. Or you may have heard the FDA warning last month about a salmonella outbreak linked to that famous cereal Honey Smacks. Well, these are all ways to keep consumers in the know about what is in their food. But it wasn’t always this way. What if we didn’t have anybody telling us what was inside our food? Well, back in the early 20th century during the Industrial Revolution, the FDA had not been formed yet. There were hardly any regulations about food safety. Pepper and coffee companies were padding their products with coconut shells. Even floor sweepings. Milk producers were dousing their dairy with water, formaldehyde, and even a squirt of calf brains for color. Deborah Blum is a Pulitzer Prize winning writer and director of the Knight Science Journalism Program at MIT. You can read an excerpt of her new book at our website at sciencefriday.com/poisonsquad. Deborah, always so great to have you join us. DEBORAH BLUM: Thanks so much, Ira. It’s great to be here. IRA FLATOW: Good to have you. And it’s not a book club this time. Let’s talk about a new book. You are involved in poison all the time. I want to get into that. All your latest books have been about poisoning. What is the fascination with that? DEBORAH BLUM: Well, I know it makes me sound a little creepy, but I really am fascinated by and often love poisons, actually. They’ve just got such an interesting dynamic chemistry. If you think about the world we live in, where we are constantly inhaling, or drinking, or eating chemicals or exposed to them, most of them do not do us any harm. So the ones that do are very clever, and very devious, and very interesting to me. And I think I’m just kind of hooked on chasing them down and figuring out how they work. IRA FLATOW: Let me let our audience in. 844-724-8255. 844-724-8255 if you’d like to call us. You can also tweet us @scifri. Let’s talk about Wiley. He was appointed to the chief of the Bureau of Chemistry in 1883. This was the Industrial Revolution, right? Can you give us an overview of what was happening then and what food processing was like back then? DEBORAH BLUM: Yeah. That was one of the things that was really startling to me when I started doing research on the book, is that I think I had this very romantic every was pink-cheeked, and happy, and, you know, eating creamy, fresh milk and wonderful produce in the 19th century. And the more I looked, the more I realized that was completely not true. And you really have two things going on. You have, as you say, the rise of the Industrial Revolution, and with it, an almost tidal wave of industrial chemistry. All kinds of new and creative different compounds that you can add into food, and drink, and just about anything. And then you also have this amazing wild west of food and drink because there’s no regulation and no requirement to label. And it’s in that period that you see really food fakery and fraud and the kind of profligate use of really dangerous compounds be permissible. And so businesses who were cutting corners or trying to make a little extra money, as you say, would put all kinds of really odd, unexpected things into food, but they just didn’t have to tell you. And that’s where Wiley came in. IRA FLATOW: I’m Ira Flatow. This is Science Friday from WNYC Studios. Talking with Deborah Blum, author of the new book The Poison Squad. OK. So Wiley comes in and what does he do? DEBORAH BLUM: Well, as you said, there’s no consumer protection legislation whatsoever at the federal level and there is no FDA. So this tiny laboratory at USDA, the Bureau of Chemistry, is actually the only laboratory in the United States government that’s assigned to look at food safety and food quality. And Wiley had come from Indiana– he was the first professor of chemistry at Purdue– with a real sense of mission about the integrity of food and drink. He had studied fake honey in Indiana. Honey that he said had never even seen a bee fly over it. He had a nice way with words, really. And so this was corn syrup dyed yellow with a little fake honeycomb crumbled into it. And he brought that kind of sense of outrage. He was very moral about science. It had to be science in the service of good. And so when he came to the federal government, he just started that laboratory on investigating food. It was the first time the government had done that. And he starts piling up these investigations of dairy products, of canned vegetables, of spices, and cocoa, and coffee. And when you read them, they’re called Bulletin 13, they’re really a food and drink horror story. And they horrified consumers when they saw them, but they really horrified businesses because they’ve been able to do this without anyone knowing, and now you have a troublemaker in the government. IRA FLATOW: This is also the era of Upton Sinclair’s famous The Jungle, right? Was about the same time? DEBORAH BLUM: That’s exactly right. 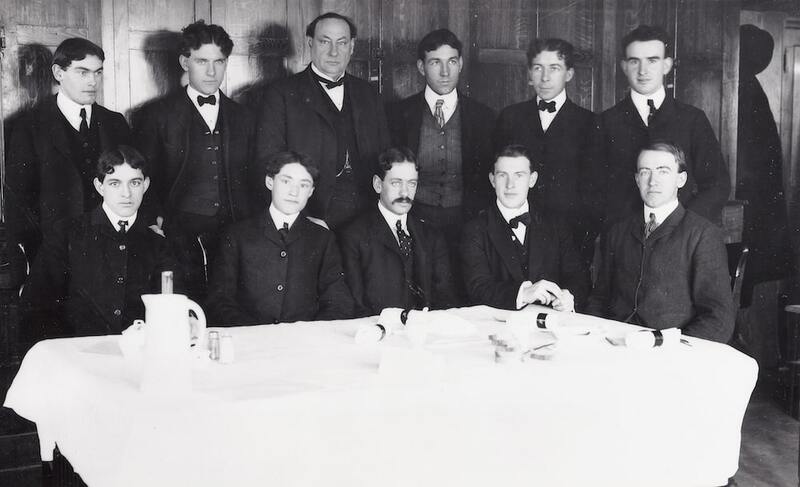 So the title of my book is The Poison Squad, and it’s really about this very wild experiment that Wiley did in the early 20th century in which he gets so frustrated about the lack of regulation that he persuades the government to let him test preservatives and other bad things on young government employees. And that’s about a couple of years before Upton Sinclair writes a novel called The Jungle that is about the way we produce meat. DEBORAH BLUM: And he was– I think people forget. You know, we think of The Jungle as this incredibly influential novel, but what made it so influential was that Upton Sinclair was also an investigative journalist. He hung out with what Teddy Roosevelt used to call muckrakers. And so when he was working on that novel, he didn’t just invent food processing. He went to Chicago and lived in the Chicago stockyards. IRA FLATOW: I’m going to interrupt you because we have to take a break, but I want to come back and revisit Upton Sinclair and also Wiley in your book. We’re talking with Deborah Blum, author of The Poison Squad. We’ll be back after this break. Our number, 844-724-8255. Stay with us. We’ll be right back. This is Science Friday. I’m Ira Flatow. We’re talking with author Deborah Blum about how food safety protections came to be, the topic of her new book, The Poison Squad– One Chemist’s Single-Minded Crusade for Food Safety at the Turn of the Twentieth Century Our number, 844-724-8255. Let’s turn the clock back to that time period, Deborah. You have an entire chapter on ketchup. What was going into that– why devote– well, I read it. I know why. Tell our listeners– an entire chapter to ketchup. DEBORAH BLUM: So ketchup is just an amazing story, at this point, for a couple of reasons. One is we have this very 21st century idea of ketchup, which is a kind of a thick, tomato based condiment. But in the 19th, again, it tended to be a kind of thin, nasty sauce with a lot of vegetable waste in it. People would put pumpkin rinds. People would put tomatoes, but they might be rotting. They would dye them sometimes with coal tar dyes. And then because the whole mess of it tended to kind of be rotten anyway, they dumped preservatives in it like sodium benzoate, which is actually still with us today. And so ketchup becomes this kind of battleground of food safety, just as meat did with Upton Sinclair. And in this case, I really love this story because it makes a point that not every business is evil. Henry J. Heinz of the Heinz food manufacturing company took it upon himself to get preservatives out of his products. He reinvented ketchup. So the ketchup we know today was really created by Heinz. And he did it so there was a lot of tomato and acid that kept the bacterial count down. And then he really went to war. I mean, this was a battle between business and advocates and business friendly government. And Heinz, although he was a big believer in profit, really pushed for safer products and actually sent some of the people who worked with them to meet with Roosevelt and say, you have got to regulate food safety. The things that we make are not being trusted because consumers are afraid of food. They’re afraid of meat. They’re afraid of preservatives. I want you to do something. And ketchup kind of catches all of that. Plus, you know, there was major combat over the preservatives in ketchup, and that was pretty fascinating. IRA FLATOW: Let’s talk about Harvey Washington Wiley a little bit more, the focus of your book The Poison Squad. He actually started– were people volunteering to eat stuff for him to test out this food safety? Tell us about that. What the poison squads did. IRA FLATOW: Yeah, it’s amazing. DEBORAH BLUM: It’s just crazy. I mean, when you read this experiment, the first thing you think is you could never do this today, right? You would never get it past all of our controls. But what happened was he had been working really for about 20 years trying to get food safety, trying to get labels, completely not able to move this forward politically. And he finally said, OK, well, let’s just have some better evidence. And I’m going to skip those less important other species. I’m not going to do any animal safety testing at all. I’m just going to dump these things into human beings. That’s the amazing part of it. And so he came up with this experiment in which he persuaded young government employees, mostly young men in their 20s, to basically dine very dangerously. And the deal was they would eat three free meals a day, seven days a week, and it would be beautifully cooked by a professional chef and all kinds of wonderful ingredients. But half of this group at any given time had to be adding capsules of the compound that he was testing at various doses from very low to very high. And so during the Poison Squad experiments he looked at formaldehyde in food, he looked at borax, which is a cleaning product, he looked at salicylic acid, which is a fever reducer, a medicine, and he kept rotating these through these tests. And what he said was he hadn’t expected the young men to get as sick as they did, but they almost immediately started having all kinds of gastrointestinal problems and other problems. And because this study had caught the attention of American newspapers, it was The Washington Post that nicknamed it the Poison Squad, this is front page news all across the country. Your food is poisonous. And now you start seeing this kind of rise of public outrage, which then was amplified by the Sinclair book. IRA FLATOW: Wow. So did he have some experience in his own life that motivated him to want to create this Poison Squad or get to the bottom of the food safety? DEBORAH BLUM: You know, that’s a great question. I think he was kind of a holy roller chemist, right? 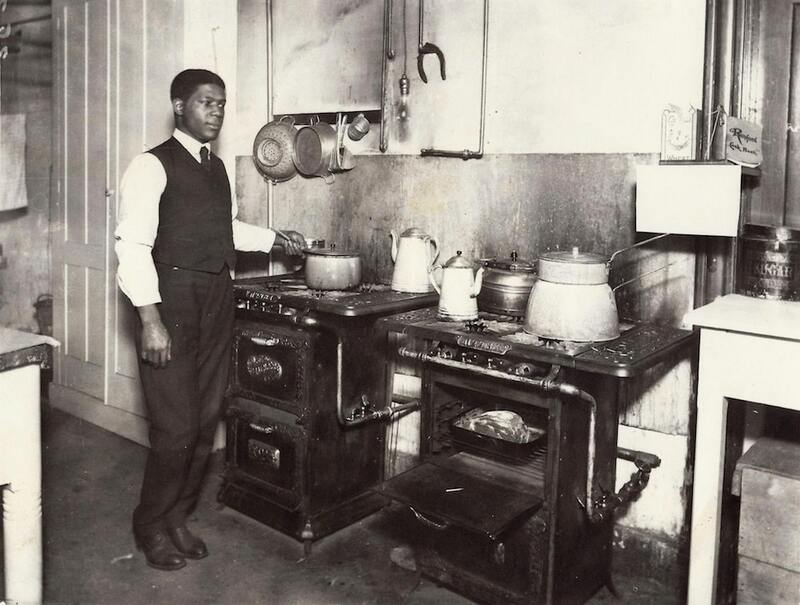 His dad had been a preacher– a farmer, but also an itinerant preacher– and a conductor on the Underground Railroad during the Civil War, and he had imbued his kids with this kind of sense of higher calling. And Wiley really– I mean, what was interesting about him was that he took on this issue of food safety, which the USDA had never really been interested in, from the very beginning, and then he just starts peeling it apart. He’s peeling the layers of it apart. And the more he realizes how at risk people are, the more he becomes really increasingly irate. And you’ll hear him saying– he’ll say, OK, I’m testing these on young, healthy people, but what about children? What about the elderly? What about the sick? And so he has this sense that the role of the government– hang on. Travel cough. IRA FLATOW: Take a drink of water. Go ahead. DEBORAH BLUM: There you go. He has this very early sense of the role of the government. When we say in the Constitution, promote the general welfare, this is kind of how I see it. He really means promote the general welfare in your everyday life. That part of what we do is that we stand up for the citizens. I think he became perceived as an advocate as much as a scientist, and that’s probably right. But he wanted to use this position to make a difference, and he actually did. That’s one of the things I love about this story. It’s a story of a single person who drives a conversation for 30 something years, but changes the conversation and the way we think about food safety. DEBORAH BLUM: Yeah. 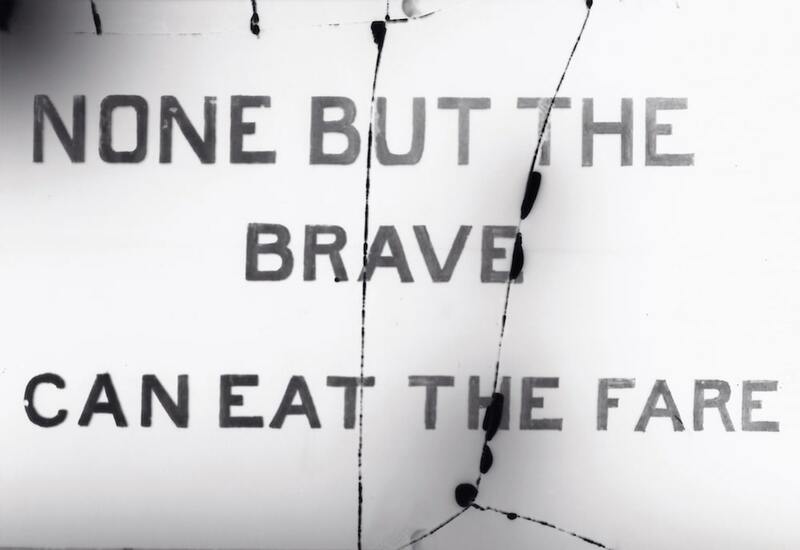 So after– he’s like battling away, stymied by– eventually in 1906, two laws passed, and one was the Meat Inspection Act, and that was a direct result of Upton Sinclair’s The Jungle and its exposé of the horrors. And then about a week later, the Food and Drug Act of 1906 passed, somewhat carried by that kind of tidal wave of fury that brought us the Meat Inspection Act. We’ve forgotten this, but that was the first great consumer protection law ever passed by the federal government. And so it was the moment in which we all agree as a society that the government’s job is in part to protect the average citizen from harm and to stand up in that way. If you asked Wiley, he would say, OK, that was a start, but the law was immediately weakened by business interactions, which it was. To the point that he ended up extremely frustrated. I don’t think he ever fully gave himself credit for what he accomplished. And eventually, that law led to a law in the 1930s that created the modern FDA. So a lot of people still call him the father of the FDA, even though he died before it was created. IRA FLATOW: Now, you have said, though, that you disagree with some of his tactics. DEBORAH BLUM: You know, he was, as I say, kind of a holy roller, and he became very rigid. I think some of that was that he was under attack, constant attack, both in government and out of it for 30 years. And he kind of ossified, to some extent, in a perpetual defensive position. But also, he just couldn’t bend on even the little details. So he would, like, spend his political capital– this is my personal opinion. I’m sure he’d appreciate it. As I second guess him 100 years later. He would, like, obsess about you’ve made a vinegar and it’s a fake vinegar, and you should not be allowed to even put the image of a grape leaf on your label because somehow that might make someone think that you were really grapes. And so he would spend a lot of capital on these very tiny details. I’m the kind of writer– I’m a nonfiction writer, but the people I write about are really real to me. So I’d be talking back to him. Like, yelling at my laptop. No, Harvey. Let those grape leaves go. Move on to something else. IRA FLATOW: But you also talk about there are times the manufacturers need Wiley’s help. And I’m thinking of the Anheuser-Busch incident. Tried to make beer flavored soft drink. DEBORAH BLUM: That’s right. And so even though I’m calling him an advocate, he was a very meticulous chemist. And there was a point when– and really, it’s in the years that are kind of rolling up to prohibition that Anheuser-Busch was making– I mean, it would be something like a near-beer, but it was a soft drink that had a little bit of– you know, tasted kind of like alcohol, but wasn’t. And it was immediately banned. And Anheuser-Busch wrote to him and they said, you know, help us out here. This really isn’t alcohol. And so he put his chemists to work and ran that analysis, and sure enough, it wasn’t, and they were able to take that on the market. And he did a lot of– he was a really good chemist. So he led his laboratory to do these very meticulous analyses of food. And when you look at these bulletins, it’s not just that he’s saying, for instance, well, gee, this cocoa is really dyed sawdust, and you think you’re getting beautiful orange cheddar, but that’s because of the red lead in the cheese, and all of the things that he found. They’re full of instructions. Hey you want to try to understand this? Here’s how you can do it. Here’s the instruments you need. And he even– because he thought the public needed to know this– actually produced a bulletin which was full of instructions for housewives. Is your milk safe? Is your meat really meat? Here’s how you can do chemistry tests at home. I absolutely love that. IRA FLATOW: Talking with author Deborah Blum, author of The Poison Squad– One Chemist’s Single-Minded Crusade for Food Safety at the Turn of the Twentieth Century on Science Friday from WNYC Studios. What would the Poison Squad– what would he say today if he were around seeing the state of our food and regulation? DEBORAH BLUM: I mean, at some level, that’s a really interesting question because you’ve reminded me that I think he would argue for another Poison Squad. He wouldn’t get it. DEBORAH BLUM: No. But he would still say, gosh, we’re eating a lot of food which have ingredients that aren’t fully tested. IRA FLATOW: But wouldn’t [INAUDIBLE] the throwback now we’re having to local farming, things like that? Wouldn’t you think that’s a positive thing? DEBORAH BLUM: He would totally be for that. He really believed in– I can’t get that sentence out. That food that was produced locally on smaller farms, with all the control that you have, was safer and better. He would really like that. I think he would be dissatisfied with labels which are still not as transparent as they should be. And I think– going back to the big ketchup fight, right? The preservative that he wanted to get out was a preservative called sodium benzoate, and he didn’t get that out. In fact, his hostile boss censored, or did his best to censor, his report on that preservative. Well, you’ll still find that preservative. Imagine him rolling in his grave over the fact that we’re still eating sodium benzoate. But yeah, he would love some of the directions we’re going. He would disagree with some of the moves by our current administration. For instance, arguing that some of the control of food should be taken away from the FDA and go back to agriculture. And I think he’d be horrified by that. IRA FLATOW: But he’d like the Michael Pollans of the world, things like that, who eat what your grandmother ate. DEBORAH BLUM: Up to a point. You know, I mean one of my cases is the stuff your grandmother was eating wasn’t all that great, right? IRA FLATOW: That’s what you’re saying in your book. That’s right. DEBORAH BLUM: Yes. I think he would see that as a little romantic. But the principle of if, you know, eat local, grow your own vegetables, don’t eat too much processed food, the Michael Pollan kind of message to the rest of– yeah. He’d totally go for that. IRA FLATOW: And there was an interesting part in your book about Fannie Farmer. We just think of her as, you know, writing cookbooks, but she was very active. DEBORAH BLUM: She was. I actually love that Fannie Farmer story. And it’s part of this period where it’s very hard for women to get a science education, right? Right about the late 19th and early 20th. So she was the principal of the Boston School of Cooking, and she used that to teach science. She taught all of her– I always imagine them as being slightly stunned students, principals of chemistry. She put chemistry in her cookbooks, right? She walks through all– and then, and this tells you something about how bad things were back then, she did whole sections in her cookbooks about fake food and about the dangers of some of the foods like milk. She wrote a cookbook which was cooking for people who were ill in 1904, and she put in this whole section saying, yeah, but if you’re going to make a milk toast or a milk gravy for your invalid, you better be really careful about that milk. It could be poisonous. She actually included– she tried to get people to pasteurize their milk at home even. And I think this is part of, you never get change unless there’s a conversation, right? So women like Fannie Farmer who were doing a kind of subversive education for women, they’re really important in this time period. And Wiley acknowledged that. That he could not have gotten his, what was called Dr. Wiley’s Law– the 1906 Food and Drug law was called Dr. Wiley’s Law. It wouldn’t have happened without the help of women’s groups. 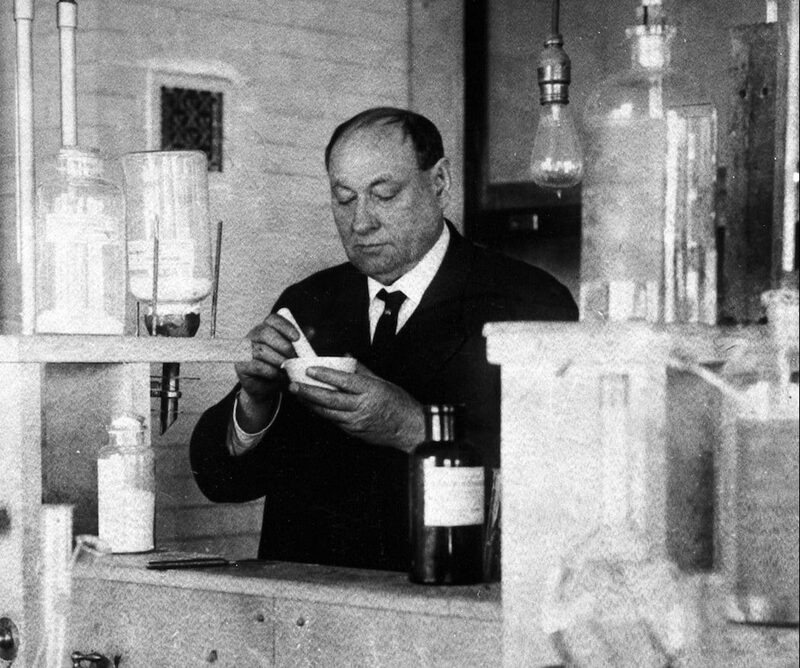 IRA FLATOW: And it’s all documented beautifully in Deborah Blum’s new book, The Poison Squad– One Chemist’s Single-Minded Crusade for Food Safety at the Turn of the Twentieth Century. Always a pleasure, Deborah. And good luck with the book. I’m sure it’ll be a great hit. DEBORAH BLUM: Thank you so much. It’s always great to be here, Ira. IRA FLATOW: You too. And you can read an excerpt of her new book at sciencefriday.com/poisonsquad.